Healthcare – HCDNOW is a global design strategy agency. “It is freedom” a fellow traveller of about age seventy once mentioned. Walking into old age alone can be overwhelming, therefore an easy solution for our aging loved ones can make a key difference to the lives of those who require care for chronic illness. While technology has transformed the way young and older generations around the world interact today , major efforts are being expended towards making healthcare systems easier, safer, accessible and more affordable for the older adults. Passionate about solving this challenge, Eclinic247 as a one of the first few digital healthcare startups in India had a mission to make this easier. The team approached HCDNOW to be a close partner in bringing this product to life. As a cross disciplinary team of researchers, design thinkers, HCDNOW and Eclinic247 team worked together seamlessly to identify people’s unmet needs and resolve complexities with a simple and elegant design. 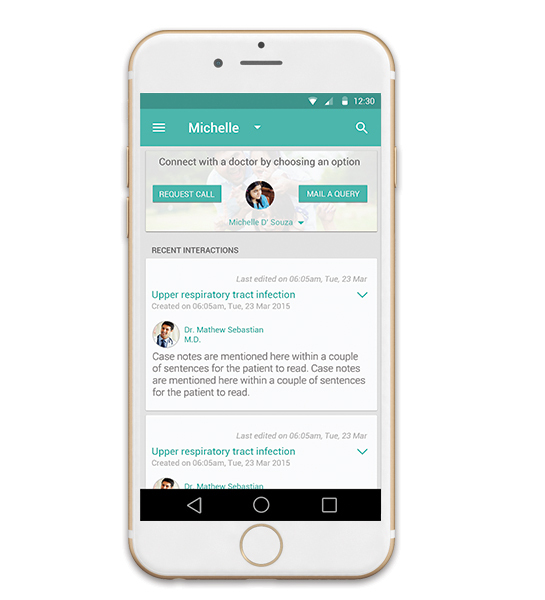 A solution enabling patients to seek on-demand consultation around the clock. Overcoming the many challenges , the Indian startups Eclinic247 with HCDNOW Bengaluru has worked on making sure that every customer interaction with Eclinic247 - was straightforward and reassuring . This simple solution makes life easier for seniors who can a bit forgetful and have difficulty travelling to the hospital everytime there is a need. Whereas, younger patients with active lifestyle and chronic diseases can just pull their phones for consultation as they need and go. Lastly, you’ll never have to worry again next your grandmother is alone at home while you are away. .